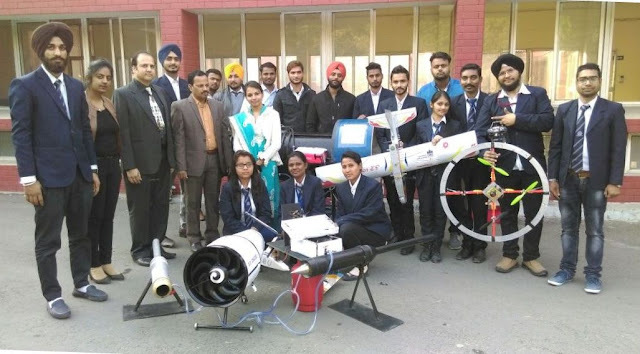 Desh Bhagat University Institute of Engineering & Technology, Department of Aeronautical Engineering students proved their excellence in an Aeronautical event conducted by Chandigarh chapter of Aeronautical Society of India (AeSI). The event was aimed to create awareness about the emerging field of Aerospace Engineering among the students. While giving details of the event, university Pro Chancellor Ms. Tajinder Kaur said that Desh Bhagat University’s final year students of Aeronautical Engineering exhibited their live project during this event. These students also flew their Remote Controlled (RC) Airplanes and Quad Copters (QC) in front of Aviation experts and students of different schools of Tricity. The students showed their talent with perfection and excellence. Padma Shree awardee Dr. Satish Kumar (Director, National Institute of Technology, Kurukshetra) who was the chief guest on the occasion, appreciated the talent of DBU students. Dr. Kumar encouraged all the students to learn maximum and develop indigenous technology. He stressed/exhorted that there is vast scope in the aerospace sector for engineers and scientists. 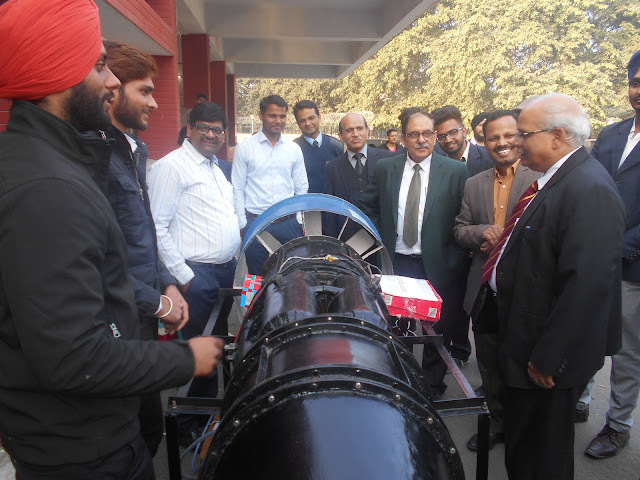 Dr. Parmod K. Mandal (HoD, Aeronautical Department, DBU) said that apart from delegates of DRDO, Indian Air Force and various Academia our students impressed all present there by showcasing their 7 different projects. The students also got a chance to interact with aviation and aeronautical experts. 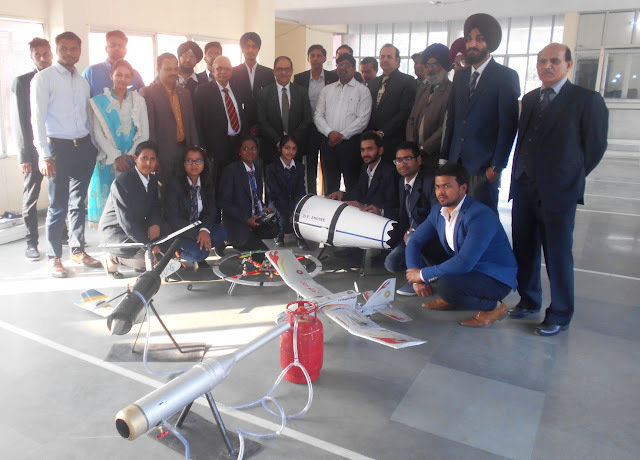 Ashwagosha Ganju, Chairman Aeronautical Society of India (AeSI), Chandigarh chapter spoke on different topics of Aeronautical Engineering and informed the students about the demands and trends of the industry in today’s competitive era. The society also launched Aerospace Club in 13 different schools of the city. University Chancellor Dr. Zora Singh and Vice Chancellor Dr. Virinder Singh congratulated the students and encouraged them always to give their best and learn maximum practically. 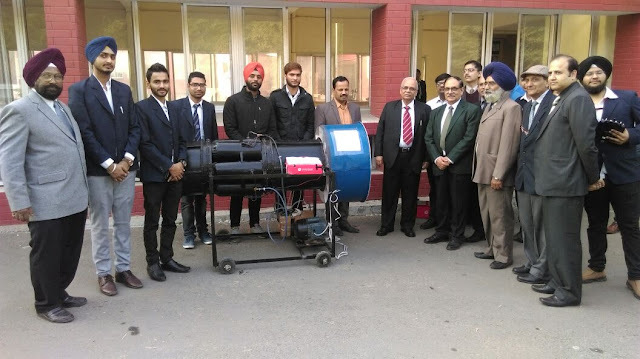 Director Academics Dr. Diwan Singh appreciated the hard work done by the teachers of Best Aeronautical EngineeringCollege in Punjab, Department to guide these students. The students were quite happy and excited to attend the event.